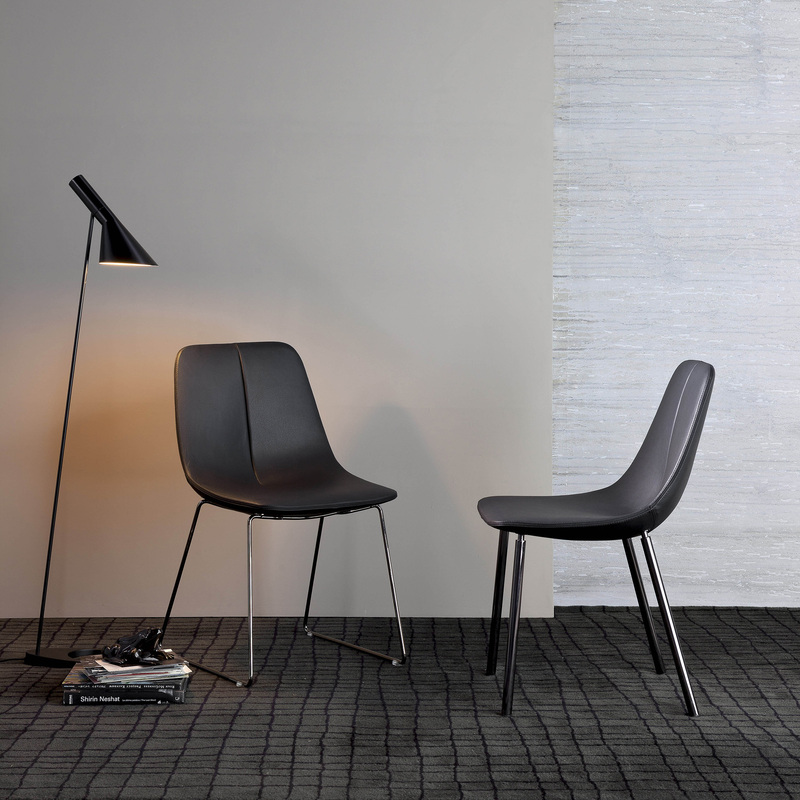 The By chair, which was presented at the Salone del Mobile in 2012, has become a family: in 2013 By si and By met are born. 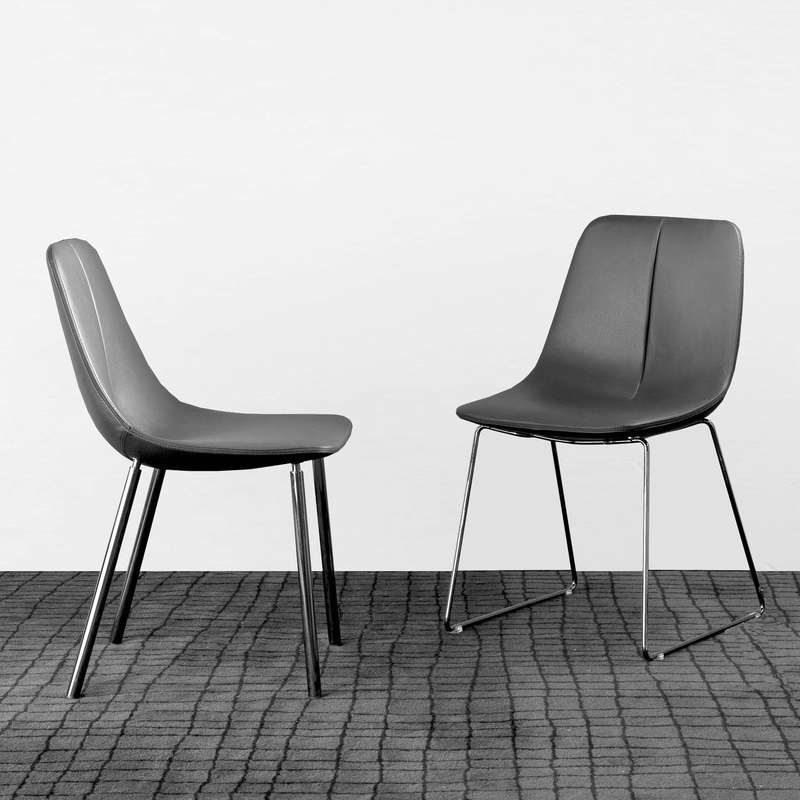 The new variants differ in the shape of their legs: By met has 4 metal legs, whereas By si has a sled-shaped metal base. The distinguishing trait of By has nevertheless been retained: the combination of the materials. 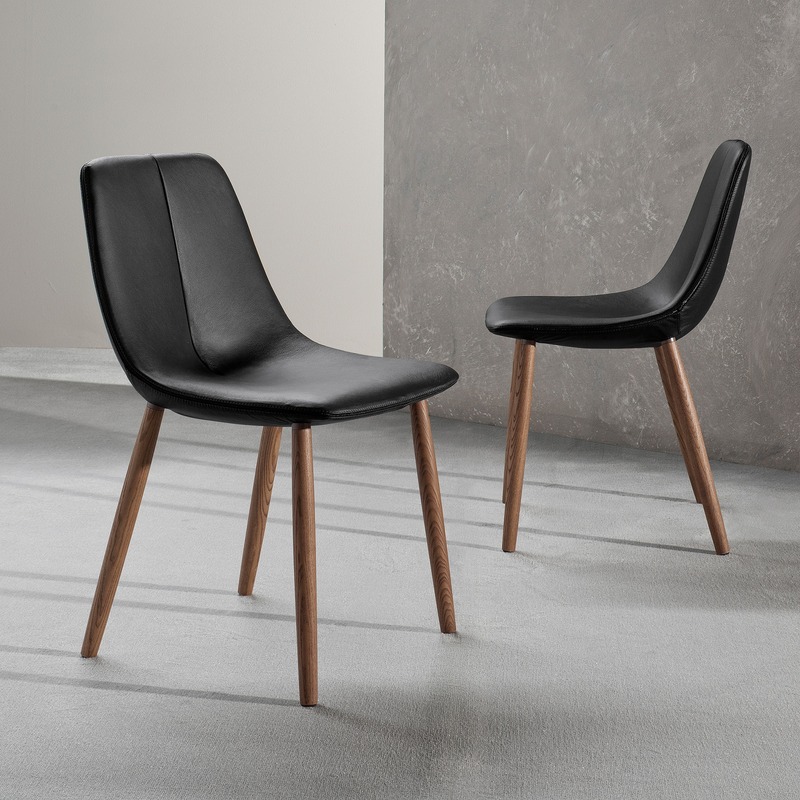 Whilst the By chair that launched the collection is notable for its discreet combination of a leather cover with the solid wood of its legs, in By si and By met the effect of the contrast between leather and metal is more marked. 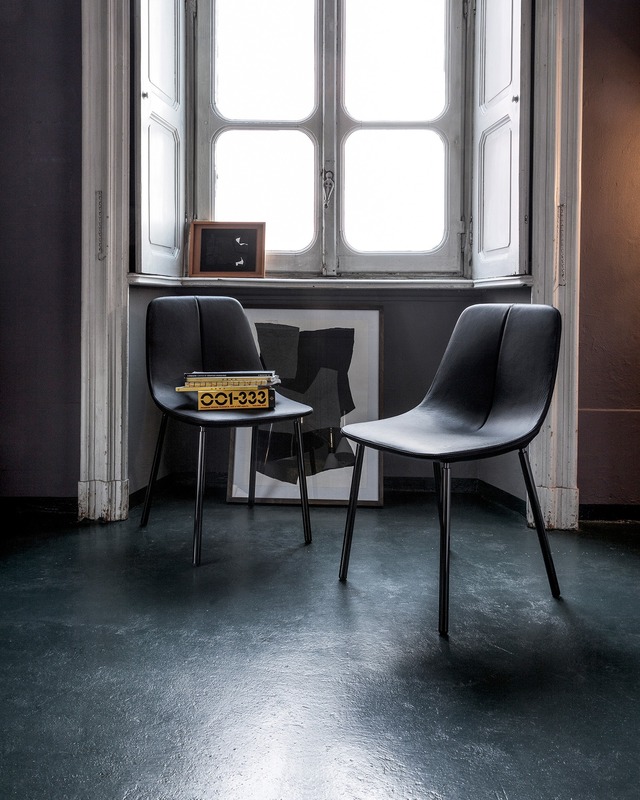 By, By si and By met have a steel frame, with cold-expanded polyurethane foam padding. 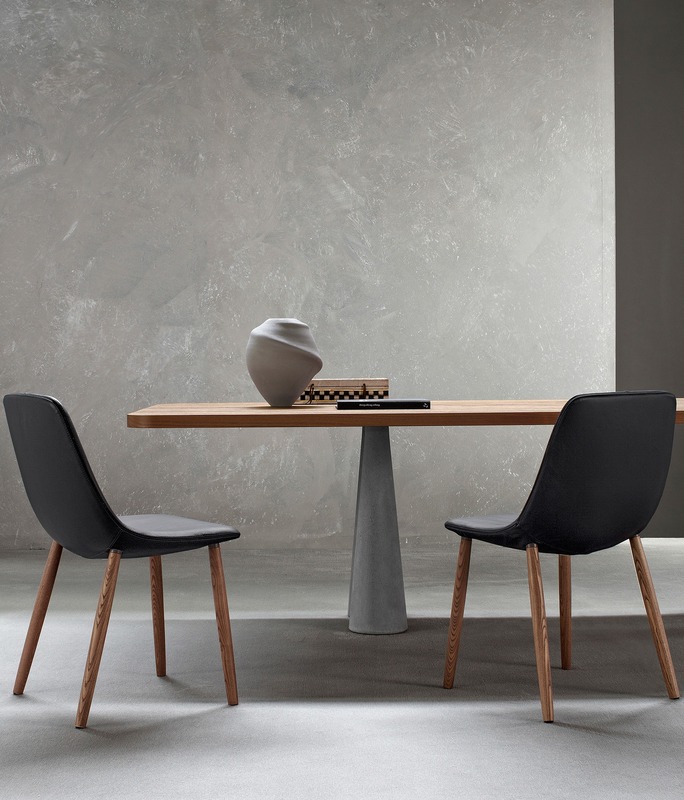 The legs of the By model are in solid ash-wood available in the following three finishes: pale, painted walnut-wood or painted anthracite grey. 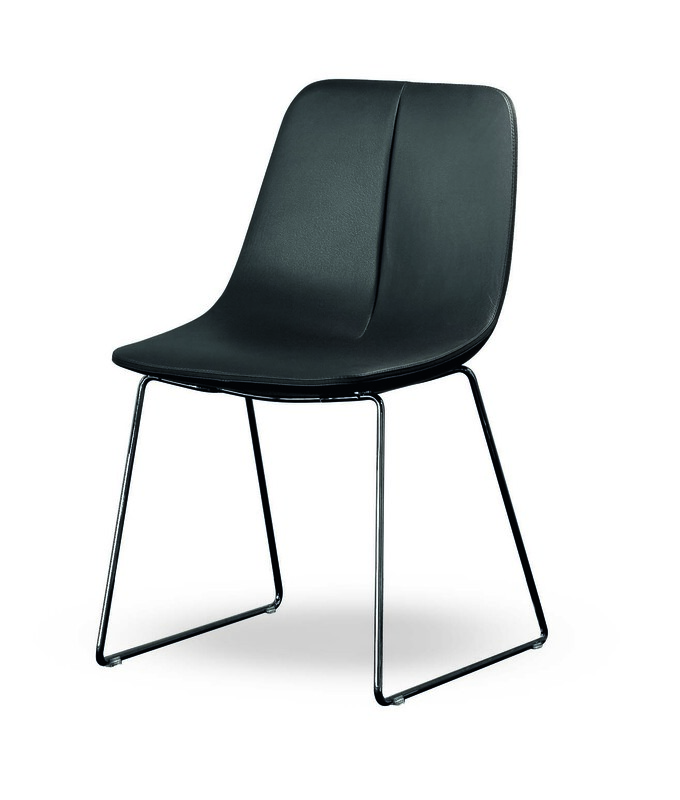 The legs of the By si and By met models are in metal painted in matt white, anthracite grey, chromed and black nickel.